The Xonar DG sound card combines Dolby Headphone 5.1 high definition surround with ASUS’ own GX 2.5 gaming audio engine and an on-board headset amplifier. These result in accurate and deep audio that brings every nuance and sound across fully, making the new Xonar DG an ideal sound card for gamers who want to remain totally aware of their play environments. Specialized for VOIP headsets. Providing clear communication and music enjoyment. 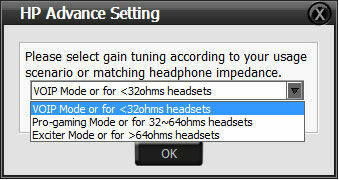 Adding extra dynamics in higher frequencies for enhanced audio positioning. Immerse in the game with more powerful bass punch and fuller sound field. Audio auto-switched from back to front with headphone plugged in!